Kowa is indeed a venerable name in the world of photography, having produced many cameras and lenses from 1954 to 1978, plus more recently spotting scopes and even a range of ultra-telephoto lenses. 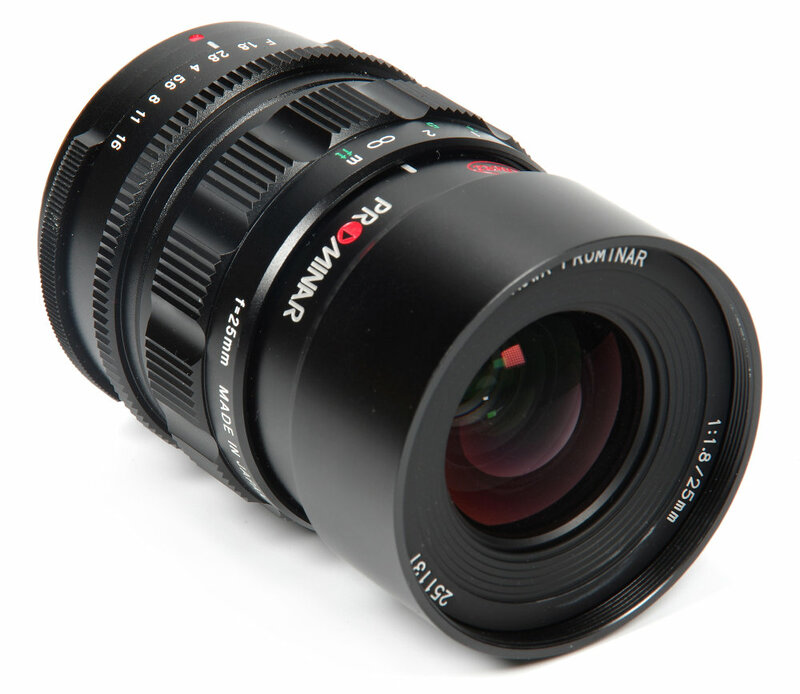 The Prominar lens name has been used extensively and now we see it reappear in a series of three compact prime lenses for MFT format. Having looked at the Prominar 8.5mm f/2.8 (T3.0) and 12mm f/1.8 (T1.9) lenses, this time it's the turn of the 25mm f/1.8 (T1.9) – equivalent in 35mm-format terms to a 50mm f/1.8 standard lens. This is typically the lens that was supplied as standard on 35mm film SLRs over many decades. Let's see how it performs and whether there is still a place for the fast standard manual focus lens in the current digital world.